As you can see, the travertine shower pan was in very poor condition. Here is a close up of the travertine shower pan before we did any work. 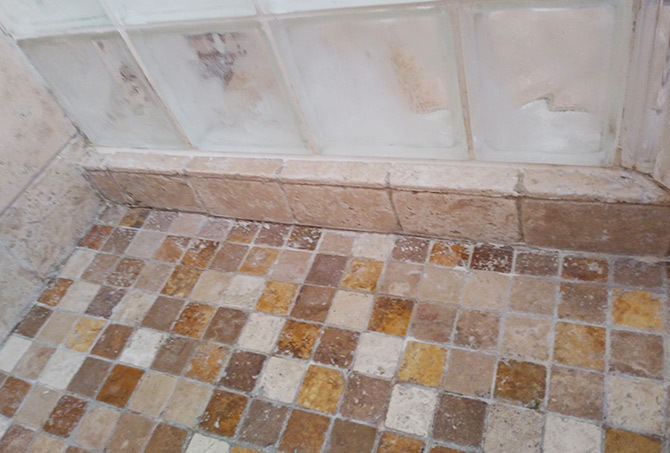 Notice the dramatic difference our travertine cleaning made. 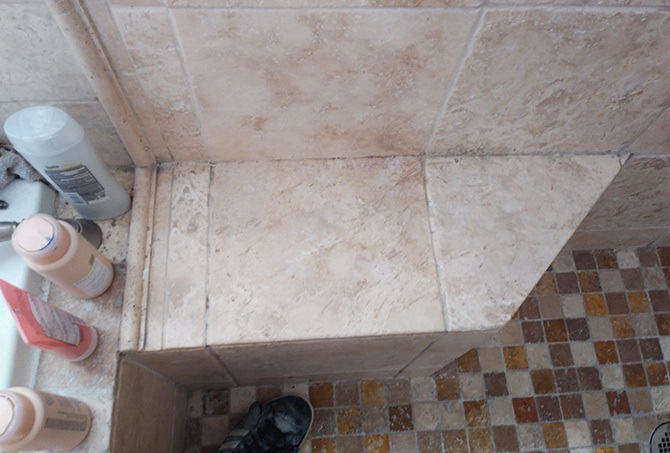 Here is a close up of the travertine shower pan after cleaning and restoration. 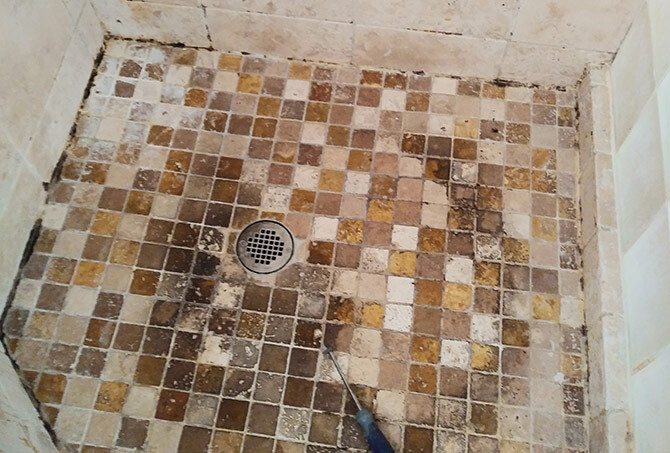 This image was taken before we cleaned the travertine shower seat. After cleaning, this travertine shower seat looks much more inviting. 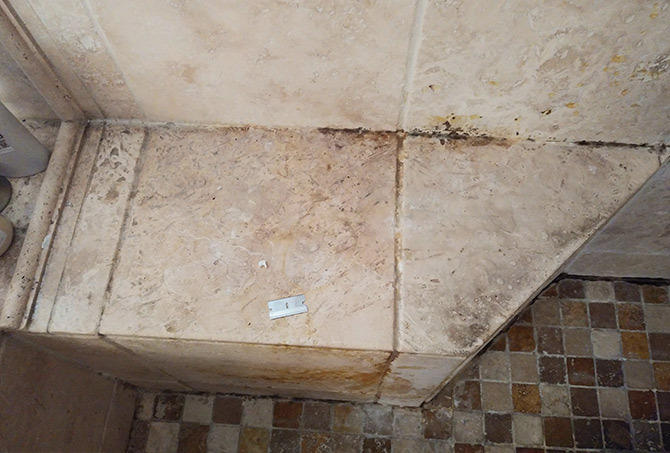 Tempe homeowners called us because their travertine shower had calcium buildup, the caulk was in poor condition, and the stone had a dull, dirty appearance. First, we used a razor to carefully scrape away the calcium buildup and remove the old caulk. 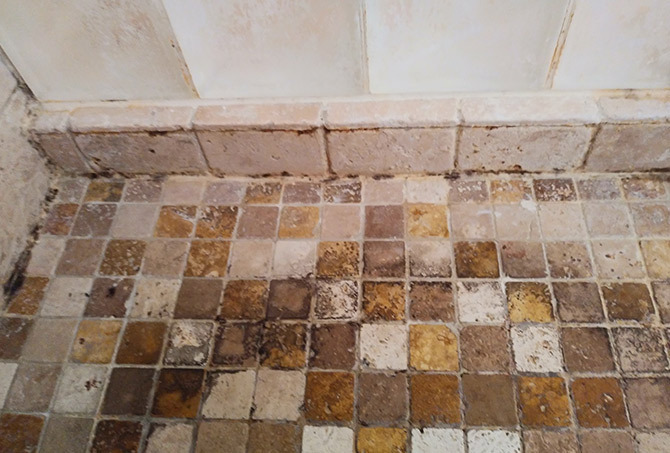 Then we used a professional cleaning solution and a hand tool mounted with special brushes and scouring pads to completely clean and sanitize the travertine. We also cleaned and sanitized the glass block. 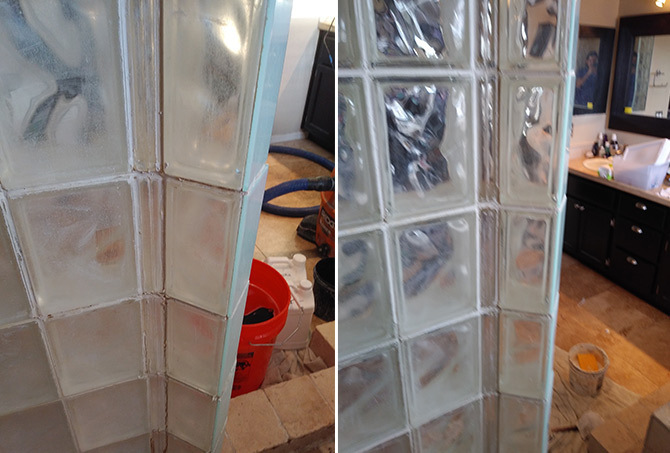 Once the shower completely dried, we sealed the stone and applied new caulking in some areas, as needed. The homeowners were very satisfied with the results. To learn more, visit our Travertine Services page. 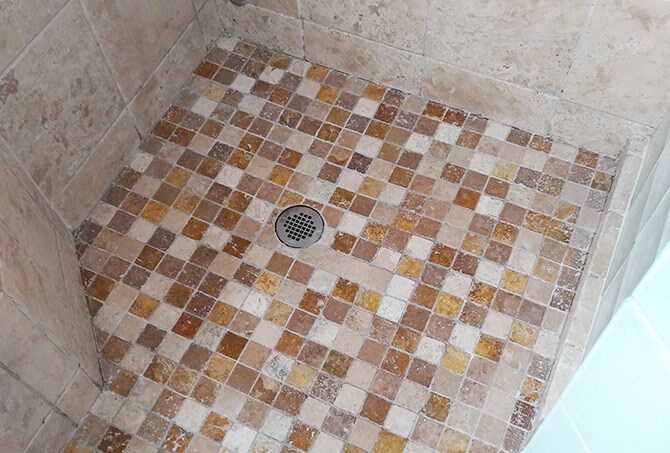 For a FREE estimate on travertine shower cleaning and sealing services throughout the Phoenix, Scottsdale, and Tempe area. Use our contact form or call (602) 993-9800 today.